Keeping your teeth clean is an essential part of maintaining a beautiful smile. One of the benefits of seeing us at Hales Parker Dentistry in Ladera Ranch is a thorough cleaning and checkup, and a review of your brushing behavior. Dental health doesn’t happen all by itself. Some of our patients mistakenly believe that since they brush and floss every day without fail, they don’t need a professional cleaning. 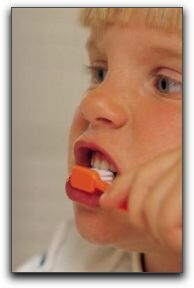 But it’s important to understand that brushing and flossing can’t do it all. Our dental hygienist uses techniques and tools that you can’t replicate at home, to totally remove any buildup of plaque and tartar. In addition, they’ll assess the condition of your teeth, and recommend improvements to your daily teeth cleaning habits. That’s not to downplay your home regimen; it is essential. Brushing and flossing at least twice each day can keep plaque and tartar from building up on your teeth and results in cleaner, healthier teeth. The American Dental Association (ADA) recommends visiting your dentist at least once every 6 months for a dental checkup and dental cleaning. To keep that beautiful smile in first-rate condition, come in to Hales Parker Dentistry in Ladera Ranch for a dental check-up and teeth cleaning. We provide general and family dentistry, as well as cosmetic dentistry services.